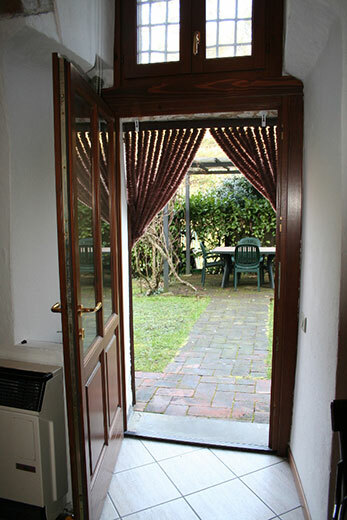 It takes the name from the outside garden with gazebo for the guests. 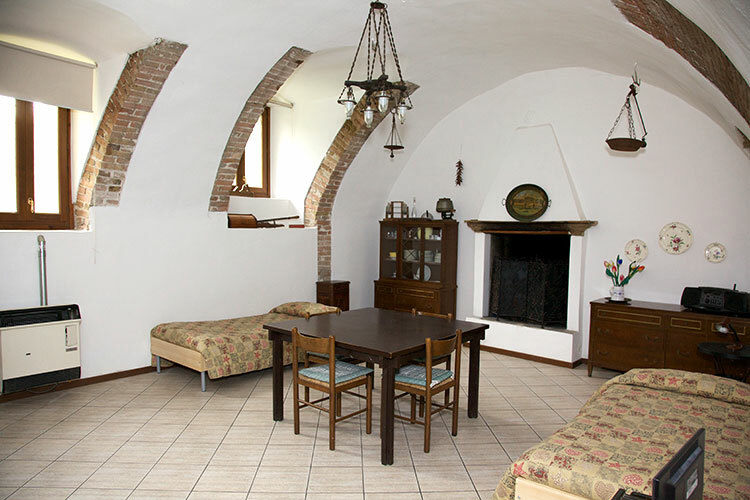 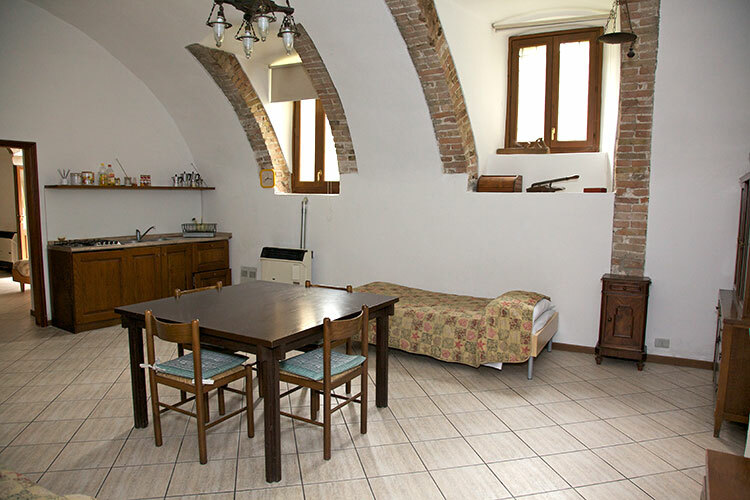 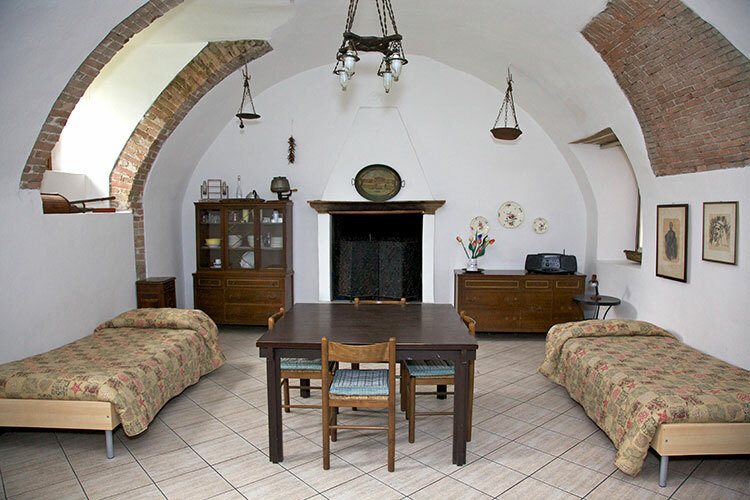 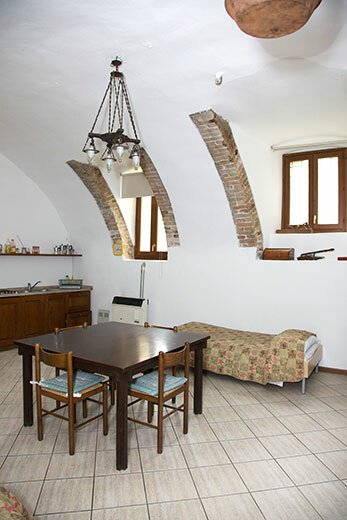 The apartment comprises two large rooms with domed ceilings: the first has two beds, cooking corner with gas burners, fridge with small freezer, ornamental fireplace. 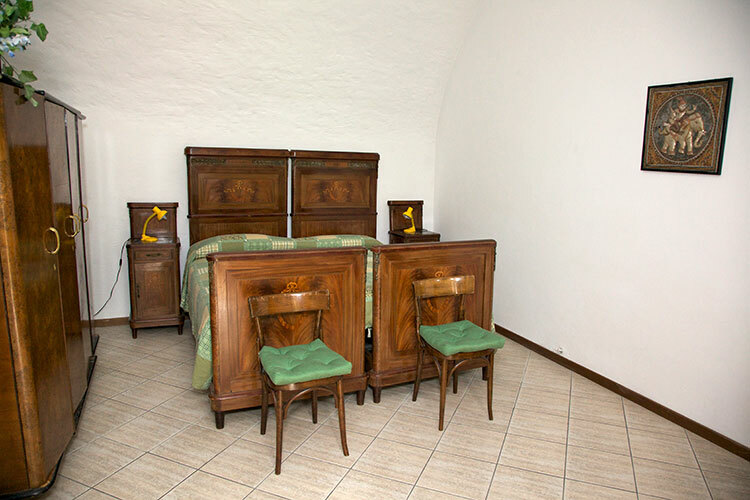 The second has an antique double bed from the 1900s, a single bed, a wardrobe and a chest of drawers. 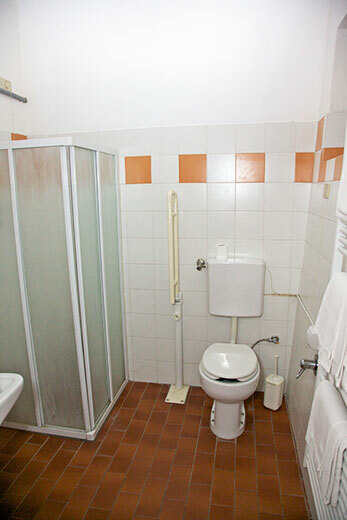 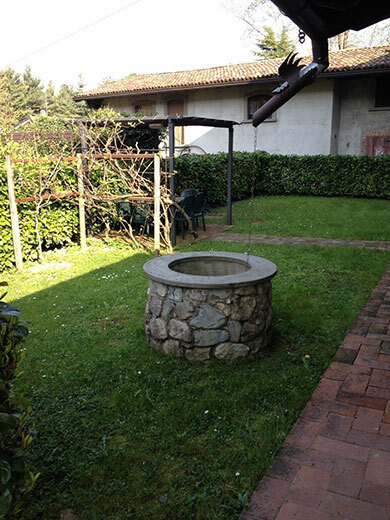 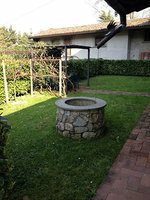 The bathroom with shower is disabled friendly and with electric heater. 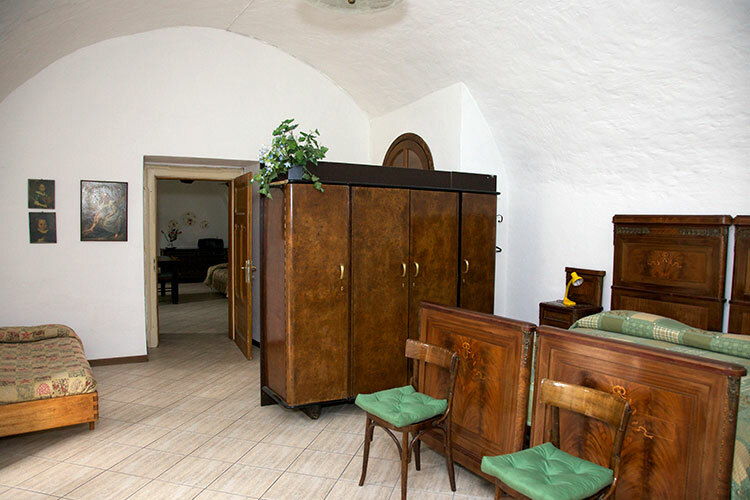 The rooms are heated by Gazelle coil fans and a TV is included.